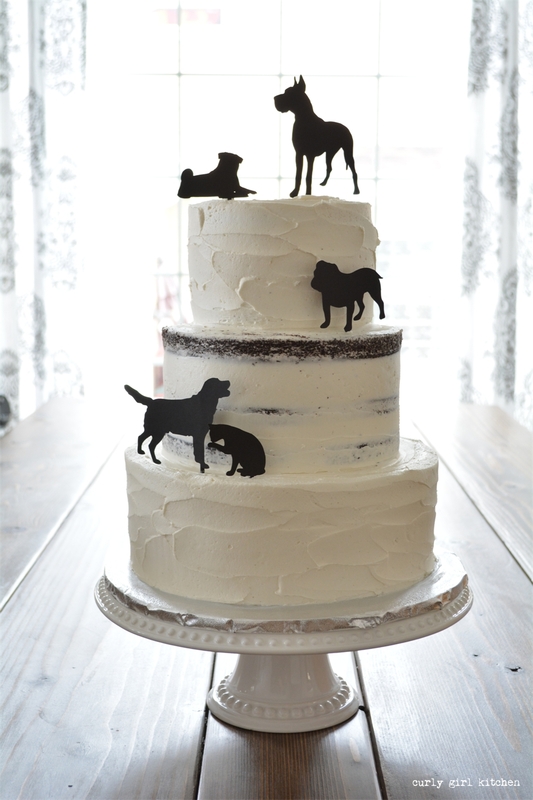 I always love when I have free reign over the design of a cake, and my design for this one was a stunning three-tiered cake, frosted with buttercream, the middle tier left semi-naked to let the dark chocolate cake peek through, and these cute silhouette paper toppers I found on Etsy. 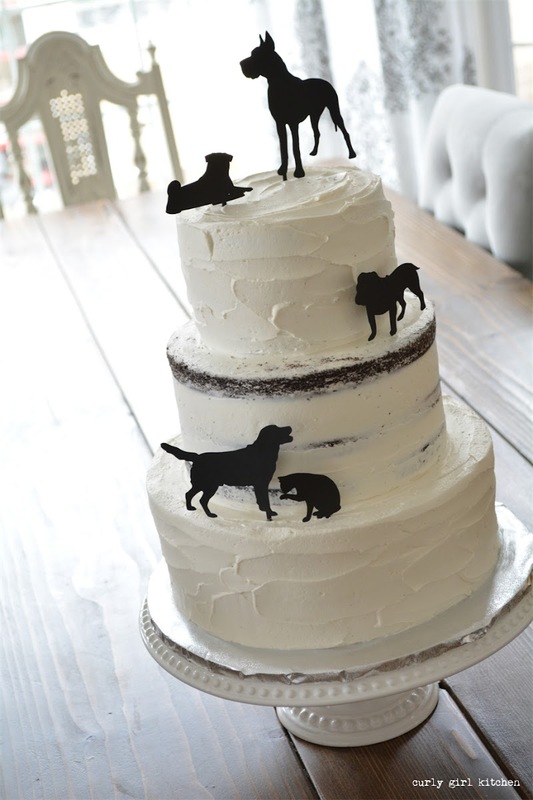 The simple, but classic tiered cake would be the perfect blank canvas for a wedding cake, as well. Imagine how gorgeous it would be with a cascade of flowers! 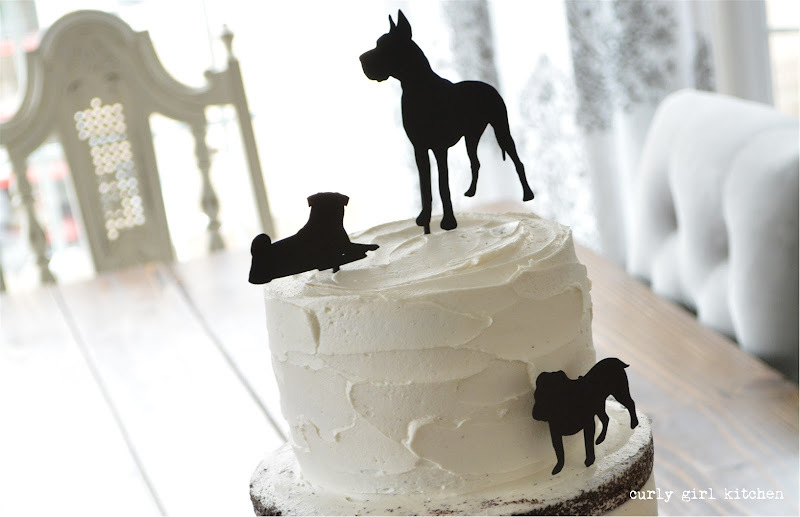 This cake topper is great and, what you might not be able to tell from the picture, is that it's actually in three pieces. Since, technically, our cat and dog originally belonged to me before my now-husband was in the picture, we actually switched up the order to both the cat and dog were on the bride's side. It was super cute, and our guests understood the reference.